229 Westridge Boulevard, Bartlett, IL.| MLS# 10343024 | Parade of Homes Bartlett IL, Homes for Sale in Bartlett and the greater Schaumburg area. Listing commissions as low as 1%. Rarely does a A+ meticulously maintained home come up with a great location & lg lot like this. 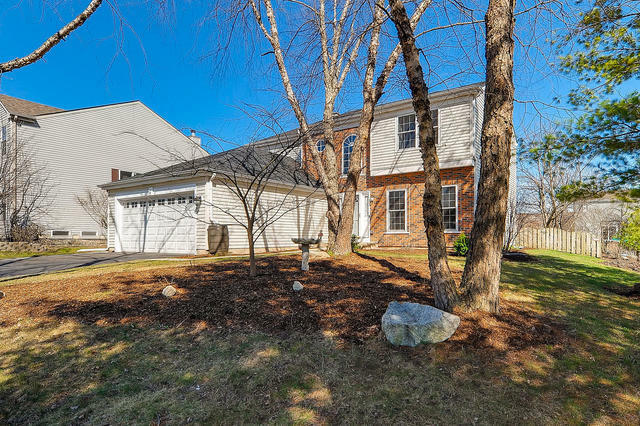 From the moment you come in view of the gleaming hrdwd flrs running thru the Foyer to fr joined w/a beautiful frplc which flows into update & wonderfully appointed all SS appl. kit w/granite counters & loads of cabinets/panrty closet. Brand new fantastic finished bsmt & 3rd full bth, w/storage galore. Tons of newer items:roof & sliding 10&apos;, A/C 15&apos;, furnace 13&apos;, mstr bth vanity 15&apos;, windows 14&apos;, W/H 12&apos;, light fixtures, freshly painted too. You&apos;ll love the large laundry rm w/tons of cabinet & sink off garage. Abundance of windows, the light that comes into this home is vastly & wonderful. Pro landscaped w/mature trees & inviting back yd w/expansive deck, shed & setup for gardening bliss. The yard is perfect for entertaining friends & family. Convenient access park & forest pres. trails. This super functional layout is a real beauty in move-in cond & ready to become yours. Everything is done.